I’ve just finished uploading the final studio projects from the first year graduate studio I taught at the University of Pennsylvania School of Design. You can see them here. There’s some really impressive work in there for first time architecture projects, way better than what I was doing when I started school. I’m almost finished archiving the work from last semesters studio at U. Penn. The above image is one of Joshua Stone’s amazing final drawings. 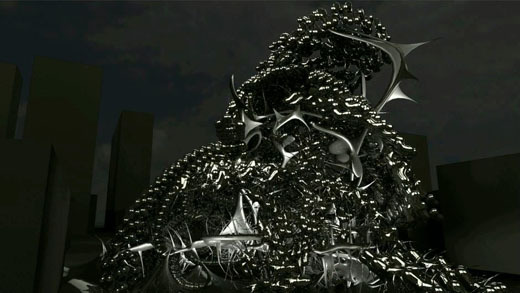 As seen in our HotHouse(s) midterm review, Mark Morris's kinetic architecture follows the logic of a packing algorithm. This detail elevation shows Ifeanyi Oganwu’s eroto-organic living pods, as seen in our HotHouse(s) final review last week. These stills are from Erick Carcamo’s phenomenal and terrifying final project for the Accumulative Micro Behaviors studio I taught with Hernan Diaz Alonso. 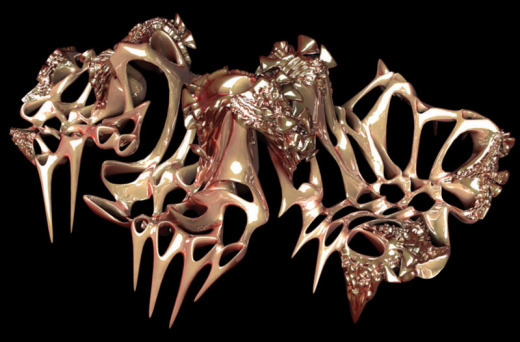 Phil Mana’s exceptional final project for Accumulative Micro Behaviors engages themes of perversion and repetition. David Jackowski’s project for this semester’s Mega Brand Edge City studio has achievied an incredible sophistication in surface geometry. This is a great x-ray view through Greg Derrico’s super organic studio project. Mark Collins produced this beautiful operational drawing for his final project in this semesters studio with Hernan Diaz Alonso.